President Muhammadu Buhari has said that Nigeria is still facing the challenge of feeding itself and providing raw materials for industries through agriculture. 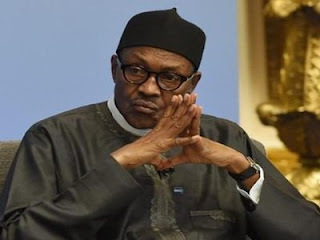 Buhari, who stated this yesterday at the opening of the 40th Kaduna International Trade Fair, however said the challenge remains, despite agriculture contributing 25.5 per cent of the Nigeria’s GDP and 50 per cent of its labour force. Kaduna International Trade Fair is a 10-day annual event organised by the Kaduna Chamber of Commerce, Industry, Mines and Agriculture (KADCCIMA), where both local and international business ideas and inventions are showcased. Represented at the occasion by the Minister of Industry, Trade and Investment, Dr. Okechukwu Enelama, the president identified creation of a strong linkage between agriculture and industry as a sure way of bringing about sustainable growth by creating new jobs and improving value addition. In his speech, Kaduna State Governor, Mallam Nasir Ahmad El-Rufai, while congratulating KADCCIMA for 40 years of successful trade fair outing and organisation of the private sector to contribute to national development, assured that, his government would continue to build the needed human capital by equipping teeming youths in the state with skills for entrepreneurship development. The governor, who was represented by the Deputy Governor-elect, Dr. Hadiza Balarabe, enumerated the successes of the state through its investment friendly environment.